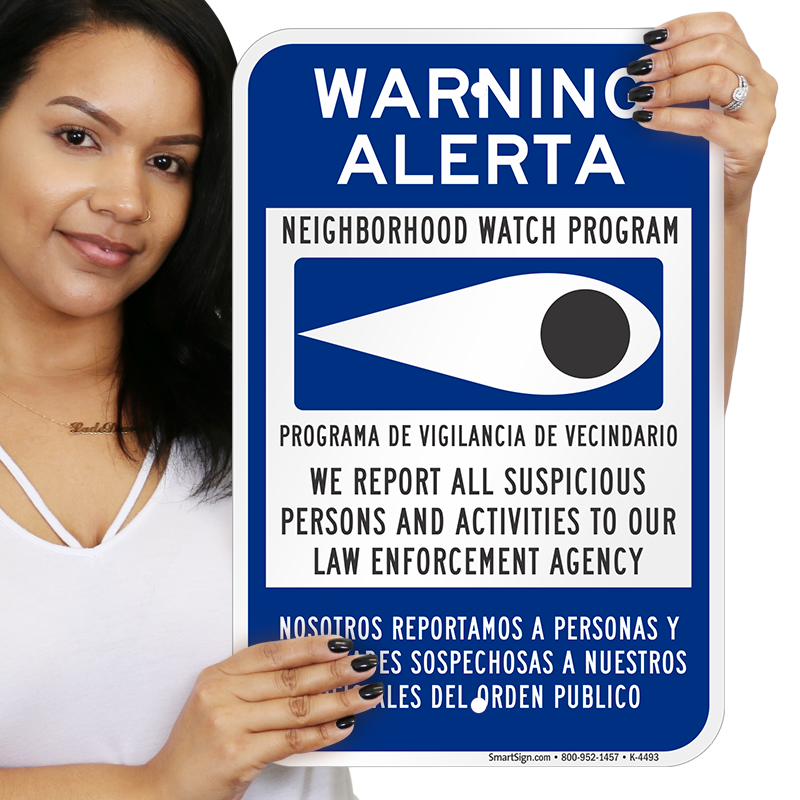 Post a Neighborhood Watch sign that reaches out to a particular audience. Make an impact with this Spanish Language Neighborhood Watch sign, designed to make the biggest effect on your Spanish-speaking neighborhood. 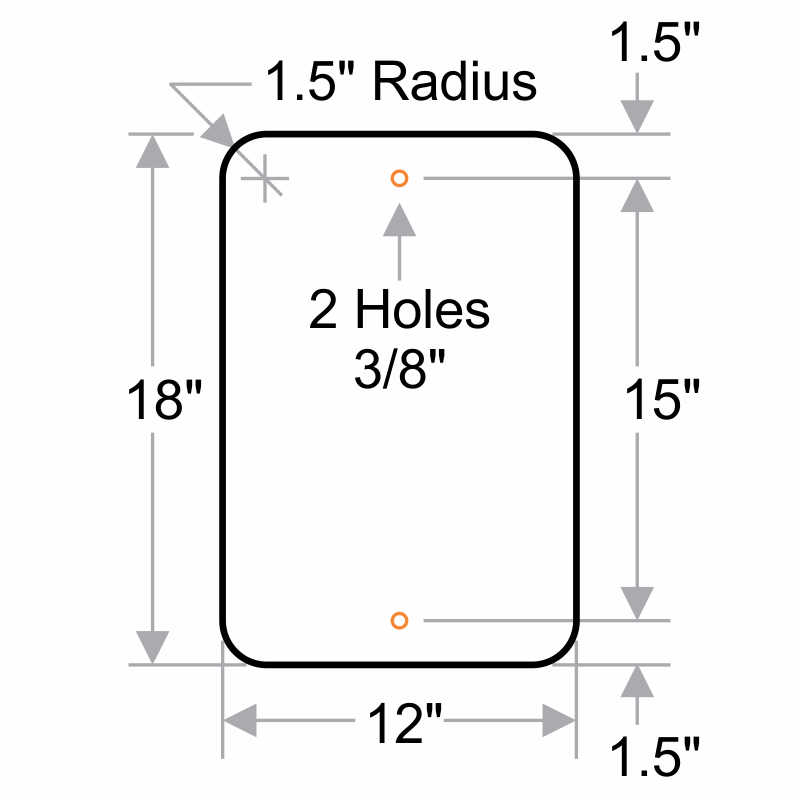 • This bilingual sign includes two pre-drilled holes for faster mounting on a post or other surface. • Bold blue-and-black design features bold text and versatile options for mounting. 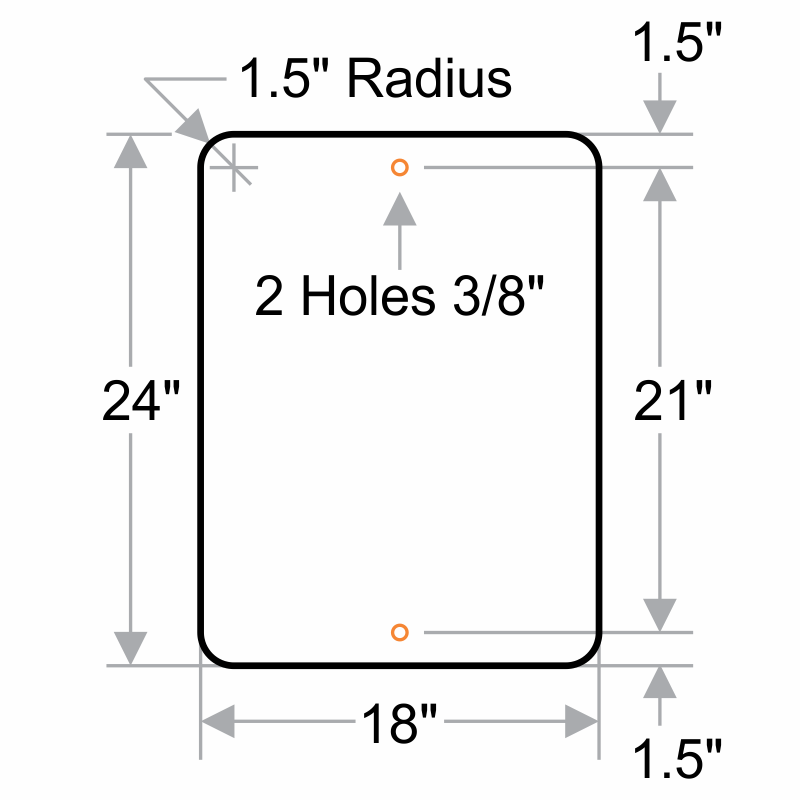 • Text and graphics are screen printed onto rust-proof, .080" thick aluminum for rugged outdoor use.